Bitcoin’s highly publicized meteoric rise to its all-time high of $20,000 in December 2017 was a classic bubble cycle at its peak. The media attention and hype from individuals talking about the crypto on social media and in social circles sparked FOMO (fear of missing out) in retail investors who eventually got burned when the price of BTC collapsed starting in January 2018. Throughout the current bear market, due to early investors getting in long before Bitcoin went parabolic, collectively, investors were able to stay above water. But once support at $6K broke and capitulation set in, Bitcoin investors became deep underwater and are still drowning in losses since. 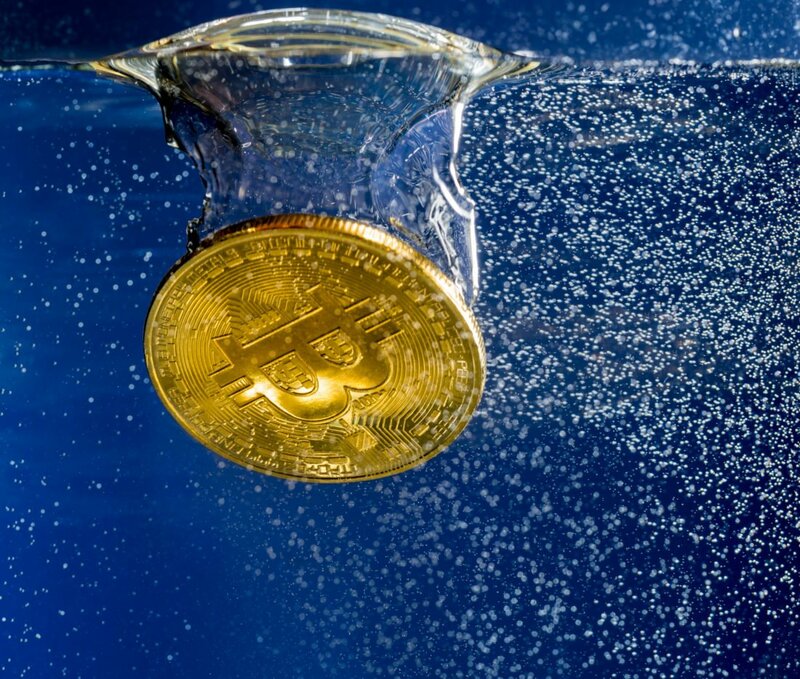 However, according to data shared by a prominent crypto analyst, Bitcoin is “seldom underwater” and it could signal that investors could be seeing gains again in the future. Bitcoin has been rightfully lauded for the asset’s ability to produce substantial gains not seen in traditional financial assets or investments. Even at current prices of roughly $3,600, from the first ever recorded BTC price of $0.003 represents a 120 million percent increase – gains that are typically unheard of in other markets. Due to the first ever cryptocurrency’s rise from practically worthless, to nearly $20,000, there have been many opportunities for investors to become profitable in their journey alongside Bitcoin and rarely are investors underwater on their BTC holdings. According to a price chart from CoinMetrics that approximates the price paid for all circulating coins – as was shared by prominent crypto analyst Willy Woo – Bitcoin investors are underwater for only the third time in the technological and financial breakthrough’s ten years in existence. Only two times before the current dive have investors went underwater. At the tail end of 2011, Bitcoin took a three-month dip into the water starting around September when price fell from nearly $8 in late August, all the way down to roughly $2 in November of the same year. It wasn’t until December when BTC made a recovery and came up for a breath of air. During the dreaded 2014-2015 bear market following the Mt. Gox disaster, Bitcoin again fell deep underwater in January 2015 and stayed there until early November of the same year. In total, Bitcoin has spent only around 18 months out of the ten years since the Genesis Block with investors of the asset underwater. Given Bitcoin’s resiliency and ability to bounce back, the market may be closer to establishing the ever elusive bottom. While the data does show that Bitcoin investors falling underwater could indicate a bottom is in or at least near, the same data could also be a sad signal for bulls. Should Bitcoin’s price follow a similar path and trajectory as the 2014-2015 bear market, and it has done so eerily closely thus far, investors in the asset may be stuck spending another 7-9 months underwater before a bull trend resumes. The previous time Bitcoin went underwater, it stayed there for 11 months before a relief rally occurred that wasn’t immediately batted down by overhead by bearish resistance. The current bear market only dove underwater following the break of critical support at $6,000 back in November of last year, which could suggest that the bear market has a lot longer to go before the end of crypto winter is here. The U.K. Has Banned Microbeads. Why? Crypto Stability: Institutions On the Horizon?